ELECTRON has been engineered with customer integration constraints in mind. Its round shape can be easily integrated in a cylinder of 30 mm diameter. In addition, the famous Clamshell™ design makes paper-roll changing a snap. High printing speed (up to 70 mm/sec. 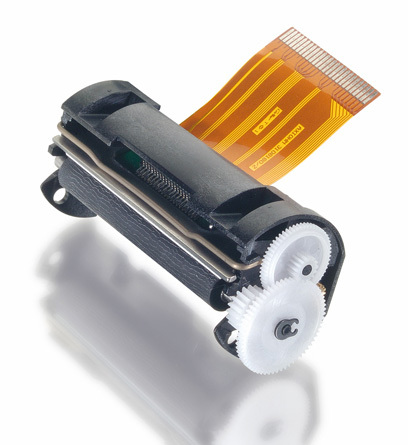 ), top performance, a high level of reliability and an optimised design, added to an ultra-compact thermal printer mechanism, making ELECTRON one of the most powerful mechanisms dedicated to mobile applications on the market, where a cost-effective printing component is required. It is the ideal solution for battery-powered devices.